As a global destination of choice, Cape Town is hotter than the African sun. Winner of the 2015/16 Telegraph Travel Award for the Best City in the World and the Condé Nast Readers’ Choice Award for the number one food city in the world, the South African city offers an exciting backdrop for any event. Enter the Cape Town International Convention Centre (CTICC). Located on Cape Town’s northern foreshore, the centre sits at the foot of Table Mountain – voted one of the New7Wonders of Nature – and is surrounded by the beautiful beaches of the Atlantic Seaboard. The CTICC provides a world-class experience for business travellers: only a 20 minute drive from Cape Town International Airport, it offers a state-of-the-art, versatile meeting facility with 11,399sq m of dedicated exhibition space, two raked auditoria which seat 1,500 and 612 delegates respectively, a sub-divisible 2,000sq m ballroom, and 33 break-out rooms. The CTICC also provides a wide range of event management services and extensive catering concepts, while its talented and dedicated staff can convert almost any space you can imagine. It has become one of the leading and biggest events and conference centres on the African continent and has hosted more than 5,500 international, regional and national trade shows, conferences, congresses, exhibitions, film shoots, concerts and special events since opening its doors in 2003. The centre has become the number one conferencing venue for association meetings in Africa. Hosting any event at the centre gives organisers an ideal platform from which to reach African businesses. The CTICC’s offering will soon extend to an additional facility: the 31,148sq m CTICC 2, which will officially open in July. With 10,000sq m of multipurpose exhibition and conference space, 3,000sq m of informal and formal meeting space and a show-stopping sky bridge, CTICC 2 will give clients a unique venue ideally located close to dozens of world-class hotels and restaurants. Cape Town’s beaches regularly top international ‘must see’ lists, while the city is also mere minutes away from some of the best vineyards in the world. Furthermore, as a hub of academic and research excellence and the home of four of the country’s leading universities, the destination offers organisers and travellers unrivalled tourism experiences and opportunities to create field tours for valuable knowledge exchange. 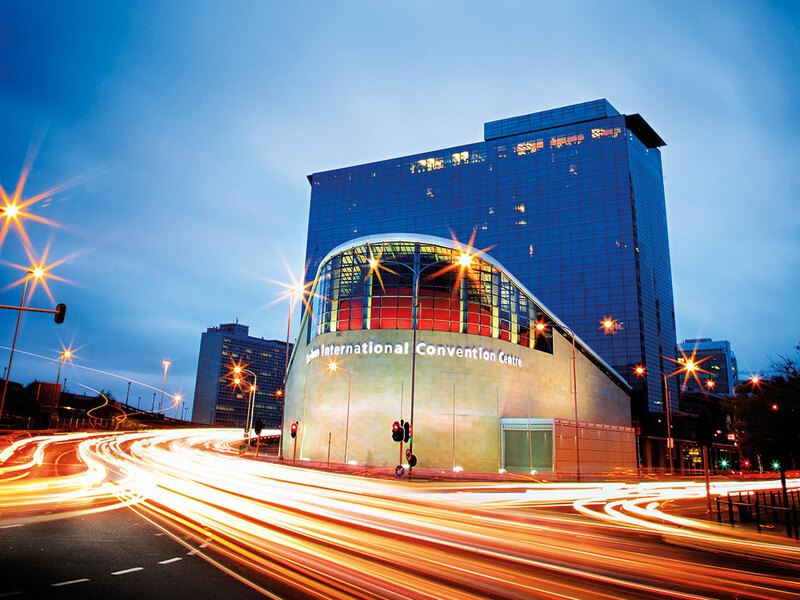 The CTICC was the first convention centre in Africa to hold three international management system certifications simultaneously: it currently holds HACCP (Hazard Analysis and Critical Control Points) certification and has a five-star grading from South Africa’s Tourism Grading Council, both of which guarantee delegates the highest possible level of quality, care, safety and sustainability. Due to its expansion, the centre has already secured the hosting rights to the World Ophthalmology Congress, during which it will see 15,000 delegates descend on the centre in 2020. Other notable events such as Africa Travel Week, AfricaCom and the renowned Cape Town International Jazz Festival have expressed keen interest in the centre’s expanded offering.